Thank you to everyone who contributed a pie to Fall Fairfield’s 3rd annual Pie ComPIEtition! 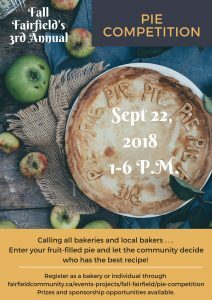 This year we had an individual category and a bakery category accepting pies from the general public as well as bakeries. Thank you Cook Culture for sponsoring the 1st place prize for the individual category! The community tasted and cast their ballots! Thank you to all the individuals and bakeries who contributed to Fall Fairfield’s 3rd annual Pie Competition. 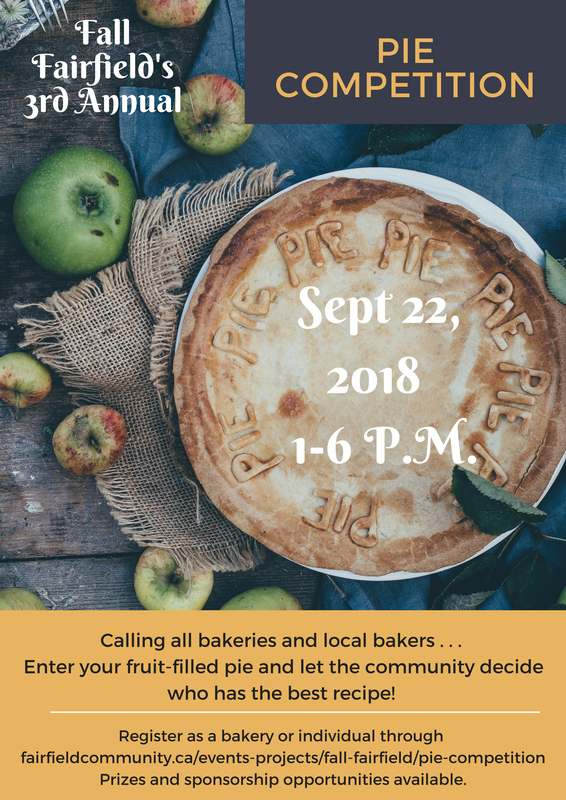 Until next year, we will see you at the 4th annual pie competition.